An article in the San Francisco Bay Guardian about public opposition to AT&T's further cluttering the right-of-way with 726 metal boxes to start delivering their super DSL U-Verse alerted me to people getting organized for community fiber. AT&T's U-verse upgrade would enable it to offer connection speeds three times faster than current service — but not nearly as fast as what fiber proponents envision. Several members of the tech industry interviewed by the Guardian cautioned that another AT&T upgrade might be necessary after less than a decade to keep pace with technological advancement. Ha! Considering that AT&T U-Verse tops out at 24Mbps downstream (if you are lucky and live close to the key electronics) and a piddling 1.5 Mbps upstream, it is already obsolete. Cable networks offered considerably better performance last year -- suggesting that AT&T should stop wasting everyone's time in SF with this approach. We have previously written about efforts to use the City's fiber to bridge the digital divide and the SFBG article introduces us to new ideas using that asset. 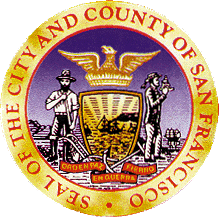 Meanwhile, Board of Supervisors President David Chiu recently asked DTIS to examine the possibility of leasing excess capacity on city-owned dark-fiber infrastructure, which is currently in place but not being used. This could boost bandwidth for entities such as nonprofits, health care facilities, biotech companies, digital media companies, or universities, Chiu said, while bolstering city coffers. "There are many places in town that need a lot more bandwidth, and this is an easy way to provide it," he said. Sniezko noted that other cities have created open-access networks to deploy fiber. "This is really effective because it's a lot like a public utility," she explained. "The city or someone fills a pipe, and then anyone who wants to run information or service on that pipe can do so. They pay a leasing fee. This has worked in many places in Europe, and they actually do it in Utah. In many cases, it's really cool — because it's publicly owned and it's neutral. There's no prioritizing traffic for one thing over another, or limitation on who's allowed to offer service on the network. It ... creates some good public infrastructure, and also allows for competition, and it sort of revives the local ISP. Chiu's proposal is a little bit in that vein, it sounds like. But he hasn't released a lot of details on it yet, so we're still looking." The article links to a newish web site SF Fiber, which has some impressive people involved, including Tim Pozar. They are also on twitter and Facebook. There may be some complexities to this process, as the city network sometimes uses underground conduit from utilities, which may be restricted to government or educational use, but it also possesses miles of unrestricted assets — notably fiber under MTA trolley and bus lines, and conduit in the AWSS, San Francisco’s emergency firefighting water network. Once again, we like to point to Santa Monica as a great example communities can look to for expanding unconditioned fiber networks, the smart approach that leaves the most flexibility for the future. Muni Broadband: Why Not in San Francisco?